Around the beginning of the current millenium, a number of young manga artists debuted through Shueisha’s monthly shōjo manga magazine Bessatsu Margaret (Betsuma) and its now defunct bimonthly sister magazine Deluxe Margaret (Derama), immediately grabbing their readers’ attention with eye-catching illustrations that relied heavily on cute details and ornaments, bright and often bold color combinations and intricate fashion designs. Their stories’ heroines were school girls whose lives and thoughts orbitted around school, friendship and, just as importantly, boys which isn’t all that surprising considering the target readership and the tradition of their ‘mothership’ magazine. But these girls went about their daily routines in style. They tried to find freedom in their restricted day to day life inside their own microcosm of female friends and boys while mirroring contemporary fashion trends with their pop punk or gyaru-style clothes. And just as prominent were their big eyes originally reserved for characters from Ribon, Betsuma‘s younger sister magazine mostly read by elementary school girls. It is definitely not wrong to assume that these young artists were heavily influenced by one of the most popular mangaka published through Ribon in the early 1990s, Yazawa Ai and her fashionable yet assertive girls. It was always up to the respective artists how much they wanted to rely on style over substance or the other way around, going deeper than just that pretty surface and showing the insecurities, challenges, mistakes but also happiness and freedom their characters experienced on their way to (more or less) owning their future. The artists who were the most successful at combining light-hearted, fun aesthetics and tone with an underlying melancholy and seriousness were, to me, Aruko whose collaboration with Kawahara Kazune, Ore Monogatari!! (My Love Story!!) 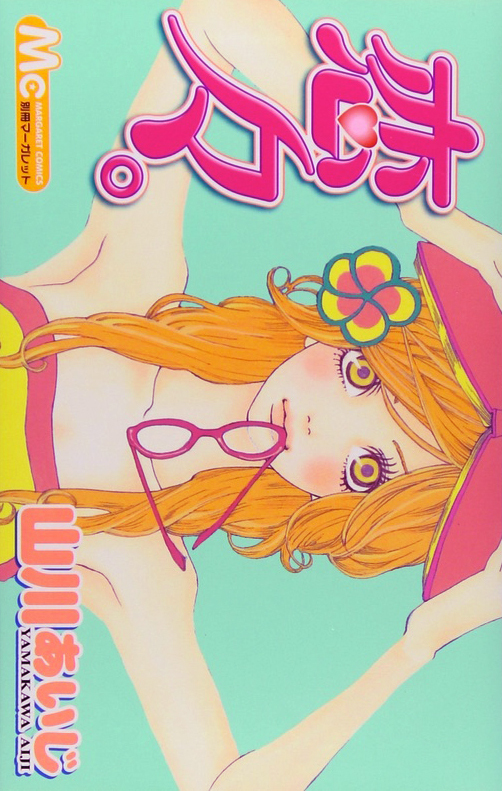 became a bestselling series read by both girls and boys, women and men alike, Takano Ichigo (who ironically rose to fame with orange only after Betsuma/Shueisha basically dropped her and Futabasha had the good sense to take her in instead) and also, to a lesser extend, Yamaguchi Izumi, but especially Yamakawa Aiji. 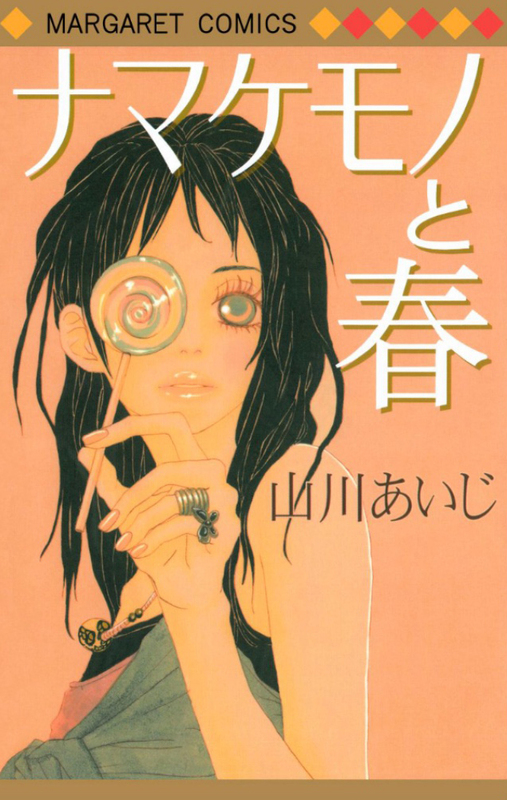 Yamakawa Aiji (山川あいじ) started her career like most shōjo mangaka with a string of short stories and shorter series published in Betsuma and Derama with a steady output of one annual volume of collected short stories from 2002 to 2006. What kept readers coming back for more were her beautiful color artworks, her stories and heroines that emanated youth and freshness, boldness but also vulnerability and uncertainty. Then the string of new works was somehow broken and while I kept waiting for her name to appear in Betsuma again there was nothing, nothing but silence. 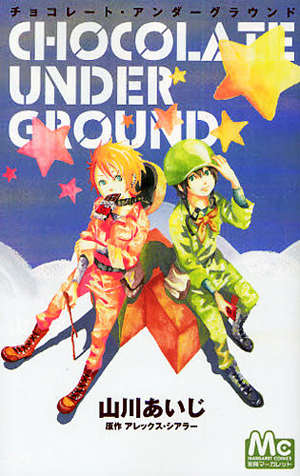 The next time I spotted her name in Betsuma again, I did a double take: in 2008, she published a mini-series called Chocolate Underground, an adaptation of an Alan Shearer novel for children called Bootleg about an underground youth resistance movement formed after chocolate had been banned by the government. The story was more shōnen material than anything but what was even more surprising was Yamakawa’s refined new character design and artistic style. 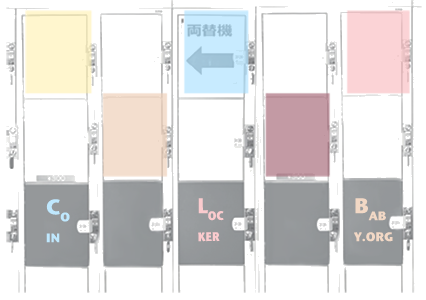 Gone were the overly huge eyes, the girly designs of the color illustrations, the focus on school uniforms brought to life with the latest fashion items and accessories! About two years before Aruko did the same, Yamakawa collaborated with Kawahara Kazune, a hugely popular but more mainstream Betsuma artist, for a one-volume short series called Tomodachi no Hanashi (plus an additional one shot) in 2009-2010. Yamakawa contributed the visuals, i.e. the manga itself, while Kawahara penned the story. This was more in vein of what Yamakawa had published previously. But her artistic evolution made one wonder what direction her stories would take now, if she would write her own stories again. And she did so immediately after her collab, with a new shorter series called Yajirobē which was collected in two volumes in 2011 and 2012 respectively. It can’t be stressed enough how absolutely stunning this manga is – the artwork and story are both subtle, restrained yet go beyond and much deeper than the average shōjo manga fare her peers create. Yajirobē deserves all the attention it can get and I will post a full review of it here very soon! Yamakawa Aiji’s style after her comeback had changed so much that Shueisha gave her the chance to republish her first two collections of short stories, Chōcho ni naru (originally published in 2002) and Futaribocchi (2003) with new cover designs in 2011, coinciding with the release of the first volume of Yajirobē. See the images below for a comparison of the old vs. the new cover designs. 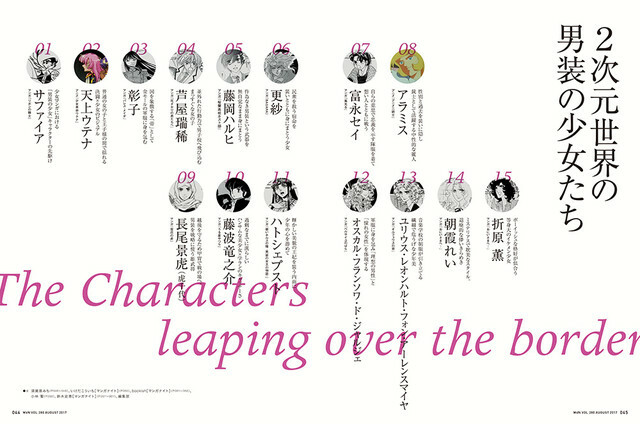 In early 2014, the design magazine MdN devoted one of their issues to the “shōjo manga design revolution” brought about by the fact that the big publishing companies gradually stopped using uniform cover designs for each of their comic labels. 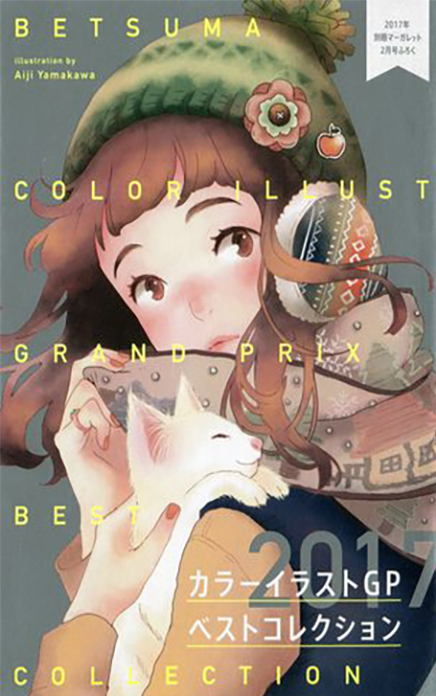 Graphic design companies are now hired to collaborate with the mangaka for the comic book covers and a serie’s “graphic identity.” The cover of MdN featured an illustration by none other than Yamakawa Aiji who represented more than anyone else the new freedom found in the art and design of mainstream shōjo manga. But back to Yamakawa’s work as a mangaka. Even though the second volume of Yajirobē promised a continuation of the story, the series pretty much ended after that volume with an open end but in a quite conclusive and satisfying way for the reader. 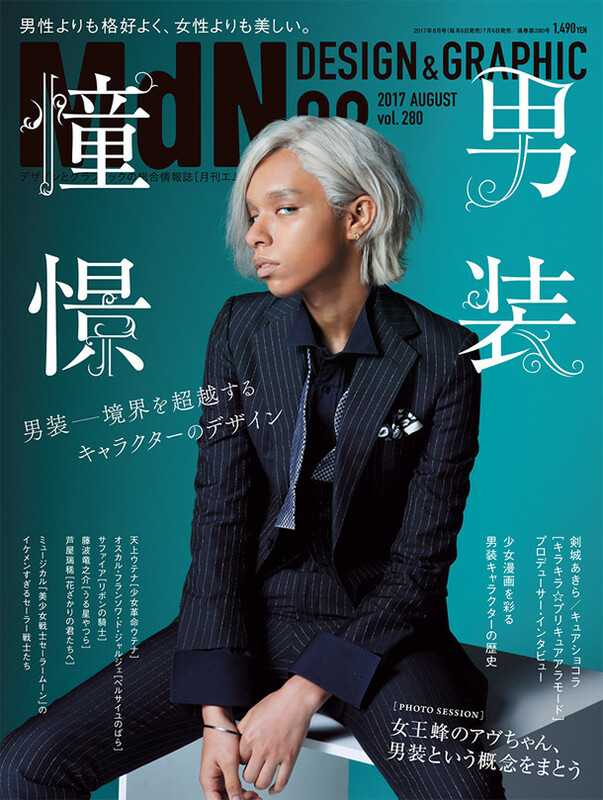 Yamakawa’s next series, Stand Up!, marked the move from Betsuma to its bimonthly sister magazine The Margaret. So far, three volumes have been released but Yamakawa had to stop working on the series and then vanished almost completely from the professional manga world in late 2014/early 2015. In April 2015 the editors of The Margaret had to let their readers know that Stand Up! would go on an indefinite hiatus because of the artist’s health issues. One can only speculate about the reasons for her disappearance as a mangaka. A possible explanation could be the huge stress put upon the shoulders of manga artists who have to meet magazine deadlines for the latest chapter of their works. Stand Up! wasn’t even running regularly in The Margaret which comes out every 2 months and it was Yamakawa’s only running series so her workload must have been relatively low compared to that of other, busier artists. But then there’s also the need to conform to the genre conventions of the magazine your work is running in which you are more or less gently reminded of by your editor who knows what readers want and expect from your work through the “enquette” postcards sent in. Add a little bit of pressure and doubts you give yourself as an artist and storyteller, the financial insecurities of a freelance artist, the toll that the pressure and committment to your work can take on your own health but also your social relationships… Reasons to stop working as a professional mangaka exist in abundance but I hope Yamakawa Aiji makes it through somehow! Yamakawa has been publishing a bit of idol-related work as a doujinshi author under a different pen name but apart from that, it’s become relatively quiet as far as a continuation of Stand Up! or a new story are concerned, unfortunately. There is light at the end of the tunnel, though! Yamakawa Aiji contributed the cover artwork for the furoku manga volume which came with Betsuma 2/2017 (released January 13; see the cover above). And she did another (super cute!!) 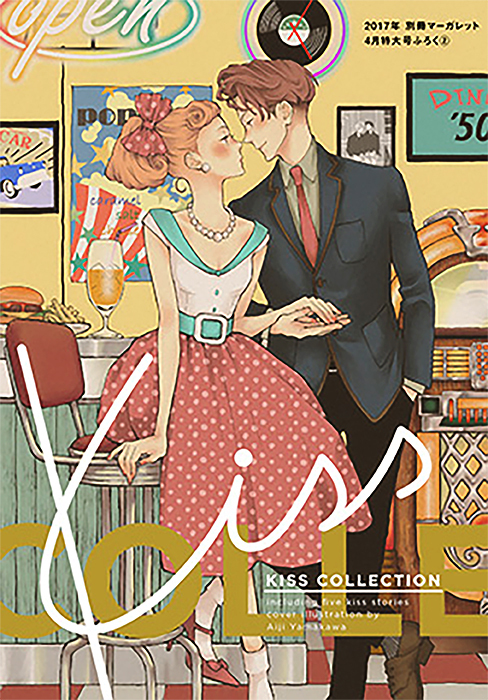 cover illustration for the furoku manga volume titled Kiss Collection coming with Betsuma 4/2017 (released a few days ago, on March 13; see right for the cover). For now one can only hope that Yamakawa Aiji makes a full recovery and resurfaces in the professionally published manga world very soon because her unique style and engaging stories from her very memorable characters’ points of view are such a vital contribution to the world of shōjo manga! Please stay tuned for a review of one of Yamakawa Aiji’s longer works, the 2-volume Yajirobē coming very very soon! 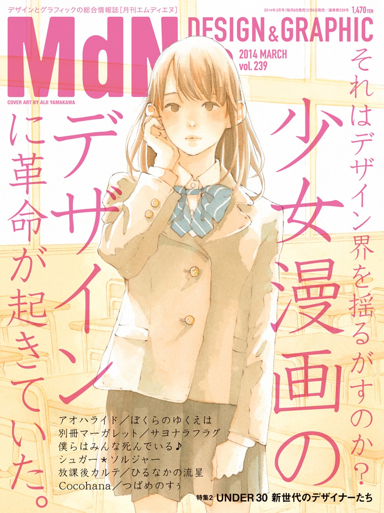 Tags: category: mangaka profile, keyword: cover designs, magazine: bessatsu margaret/betsuma, magazine: mdn, mangaka: yamakawa aiji, publisher: shueisha, title: yajirobee, type: shoujo manga. Posted on Mar 17, 2017 (Fri, 2:01 am). .